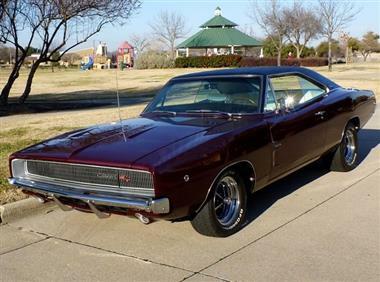 1968 DODGE Charger in Arlington, TX for sale. 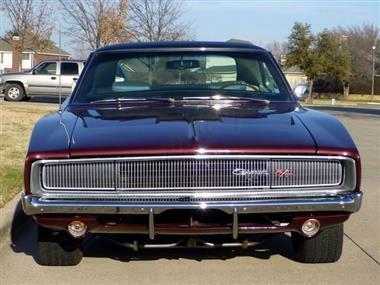 1968 Dodge Charger R/T - HEMI While the hideaway headlights remained up front in 1968 the rest of the body for the Dodge Charger was redesigned. 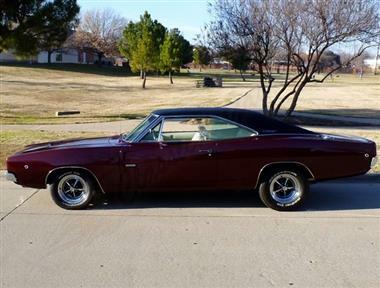 The tunneled rear window, reduced roof line and subtle flaring on the fenders created a totally different look that much more suited its status as a muscle car. 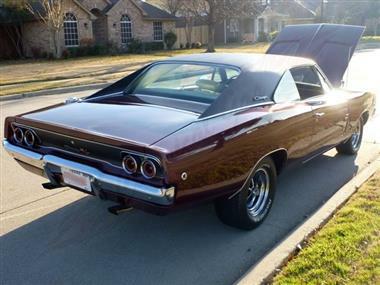 These cars were hits back in the day and in modern times their popularity has grown even further making these Mopars among the most desired cars around. 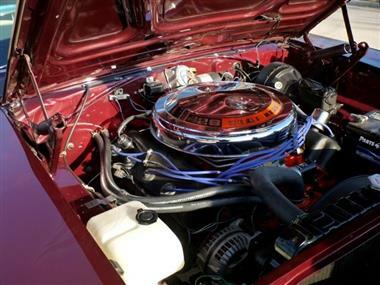 Boosting that desire even further is the optional 426 Hemi motor that was only put into 475 hardtops including the one you see here. This makes the car pretty rare considering over 17,000 R/Ts were made for this year and this car was originally an export car that was sent to Europe immediately after completion. All of this is documented in a Galin Govier report which comes with the car. This 1968 model is a very nicely done car that underwent a complete body off rotisserie restoration bringing it back to like new condition. The body was solid prior to restoration and the original floors were kept in place due to how great they looked. The deep Burgundy paint suits the bodylines nicely and pairs perfectly with the Black vinyl top. It is the original color from the factory (RR1 on trim tag) but it has been repainted and done to original which includes the factory ordered stripe delete. All of the original chrome and trim is nicely mounted in place and all of it has a great finish. The hideaway headlights up front are working properly and back you will find the dual round taillights which were also new for this year. The rear section around the taillights is painted in a matte Black which creates a nice contrast and is how the car would have been done originally. The car has a great stance and with a slight rake gives it that fast, tough appearance even when sitting still. The original wheels have a nice shine paired with blacked out sections and are wrapped in BF Goodrich Radial T/A tires. The car shows very well and is actually in the order of the Pentastar which is only reserved for the best of the best Mopars. As mentioned before this car is a true Hemi car and came out of the factory with the dual 4 barrel 426 Hemi and Automatic transmission combo. The motor has that stock style look with matte valve covers, chrome circle air cleaner, and the rest of the components being painted. The firewall, inner fenders, underhood and springs are all painted to match the body. 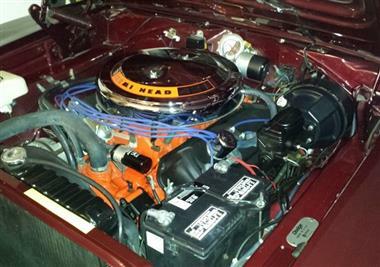 In addition to a great look the motor starts up smoothly and runs extremely well. This isnt a classic that is all looks because that Hemi still has no problems getting those wheels spinning. Front disc brakes are in place which are a factory option along with the Hemi suspension system and more. The interior of the car is complete in White and Black. 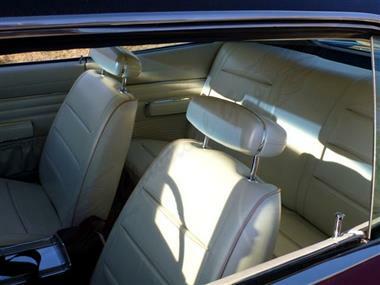 The upholstery work is in great shape as is everything you see on this car. All of the original trim is there and everything has that factory look including the knobs, switches, gauges and radio on the dash. 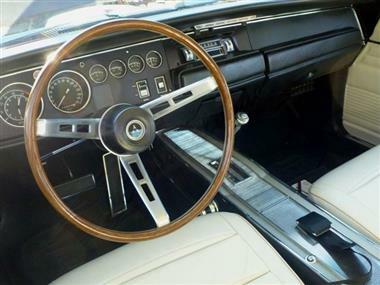 The original center console sits in between the front bucket seats and houses the original automatic shifter and storage compartment. The trunk of the car is finished out as well being painted to match and topped with the original trunk mat. These Hemi Mopars are always going to be popular and make a great investment car due to their low production numbers. As time goes on they are only going to be getting more and more rare so grab it up while its still available! With only 475 made there is no telling when another one will show up on the market. No collection is complete without a hemi mopar so add this one to yours for $149,500.00!